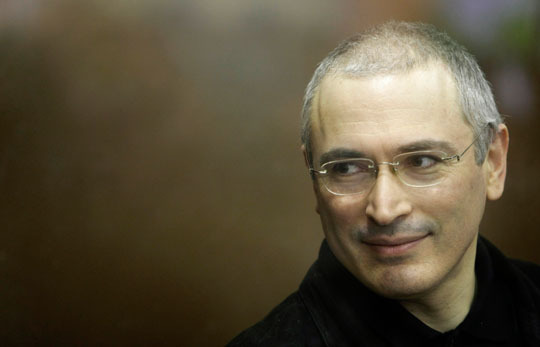 Mikhail Khodorkovsky says his oil tycoon career is over and his life as a political figure is just beginning. In a two-part conversation with CBS News' Charlie Rose, the former Russian oligarch, who had also been imprisoned as a foe of Russian President Vladimir Putin he says he calls his plans "civic activity" and doesn't hesitate to spell out his plans to relaunch Open Russia, an organization put together that hopes to challenge Putin. But he also talks about the decade he spent behind bars, his concern for those who he left back in Russia, as well as the direction of the country. "The organization that I have created is to help people who hold a pro-European position, who are in favor of creation of a law-based state in Russia to not feel themselves outside of society," he said. "What I'm doing in any case is regarded by the current regime as a challenge. I don't know whether Vladimir Putin feels this challenge today. He's not -- the move is not that powerful yet. But the regime as a whole certainly feels this challenge."